Having scraped through with a last minute win v Saints and Sarries coming unstuck v Tigers this Saturday sees the Chiefs on top of the Prem with Sarries in second place just 4 points behind. Having scraped through with a last minute win v Saints and Sarries coming unstuck v Tigers this Saturday sees the Chiefs on top of the Prem with Sarries in second place just 4 points behind. This was the Chiefs first win in 2018 and Sarries first defeat so both sides will be keen to win and increase their chances of a top two spot and the resultant home semi when it comes to the play-offs. With just 6 'League' games to go the pressure really starts to increase and Chiefs will be hoping they can get back to their early season form. The last 15 minutes against Saints certainly looked much more like the Chiefs, playing with pace and intensity. Rob Baxter suggested the players lack of form may be down to their not wanting to lose the Premiership and he'll be looking to deal with this. It's not dissimilar to last season when a poor start was turned around by a switch in mindset. 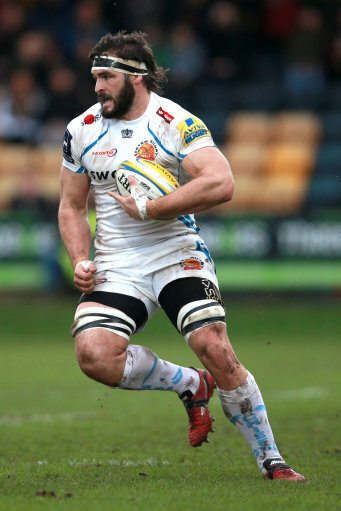 It will be interesting to see what team Rob Baxter puts out for this one and whether the likes of Henry Slade and Dave Dennis are fit enough to figure. If Jack Nowell and Harry Williams are back from England duty I expect to see them start as they've not exactly played too much rugby over the last few weeks. We'll need to work hard at breaking down Sarries defence and ensuring ours is rock solid although there's little to chose between us in that regard with Sarries having conceded just 3 points less than we have so far this season. They have scored more points but this equates to just over 4 points more per match than Chiefs. This suggests a tight affair and I full expect it to be close with Chiefs just edging it. 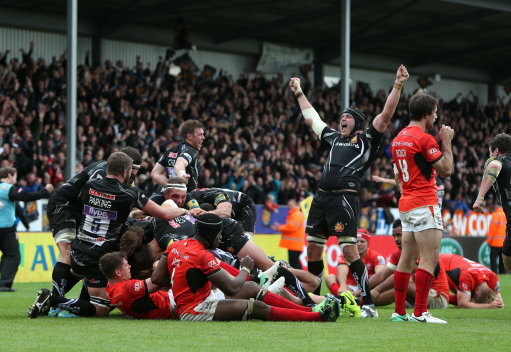 The Sandy Park faithful are going to need to be in full force to drive the Chiefs on! I have an East Terrace (South) ticket that I will be unable to use. Face value is £32. Please call 07980 641910. Moorsman, perhaps you could consider a "sticky" for ticket requests/swaps/sales etc. Great performance & really good to see Sam & Henry back. Likedmthe loookmof Simmonds jnr, mature head with some good skills. Cant help but think we need something extra formwhen Sarries are back to full strength.